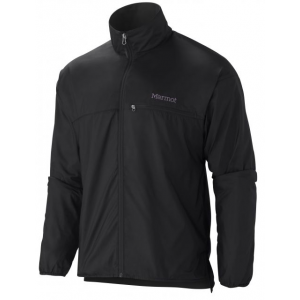 Outdoor Research Men's Apparel Clothing Tantrum II Hooded Jacket - Mens Pewter Small. 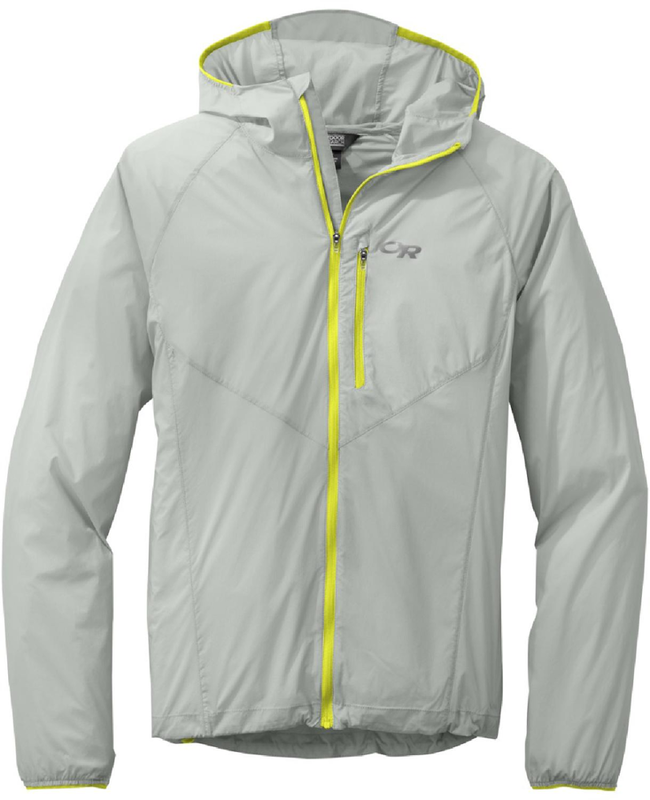 Charge headfirst into gusty rides runs or summit assaults with the updated Tantrum II Hooded Jacket. 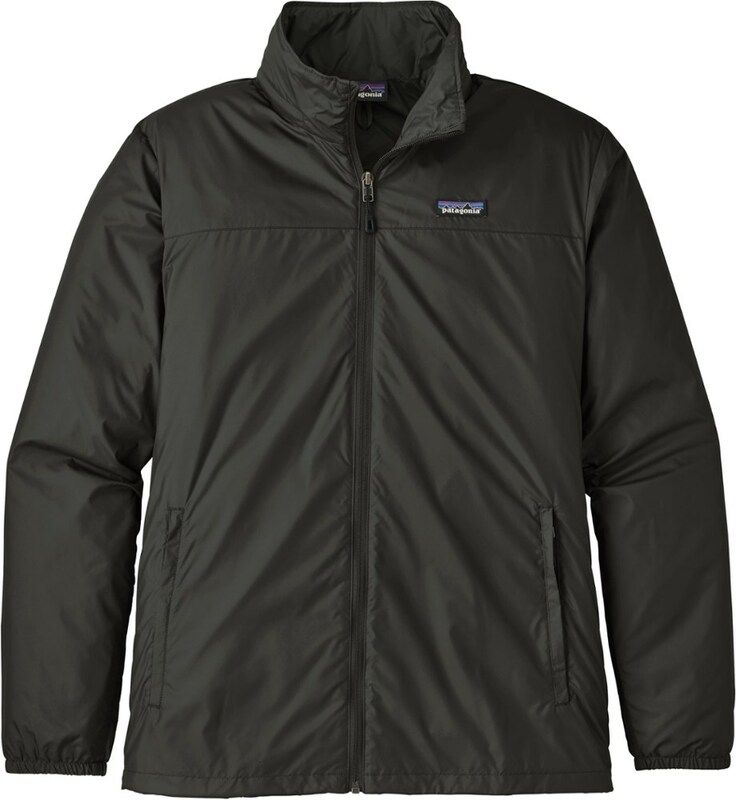 This windbreaker does more than guard against less-than-ideal weather conditions; its movement-mirroring stretch lets you shift and flex on the move while nylon 20D ripstop adds durability against trail debris. Thumb loops and an elastic drawcord hem let you cinch down its length for extra protection and a zippered chest pocket doubles as a stuff sack so you can stow carry and whip out this 4.7-ounce wind shell whenever it's needed most. 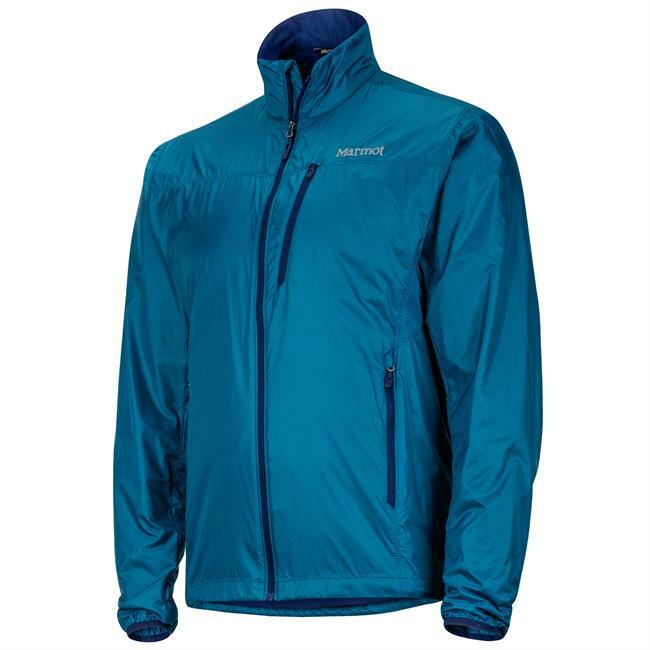 A trail-athlete essential for braving the wind and setting PRs, the updated Outdoor Research Tantrum II men's hooded jacket helps you charge headfirst into gusty rides, runs and summit assaults. Running under cloud coverage feels great on the trail, but once you reach higher altitudes the winds and chance of rain become more formidable. 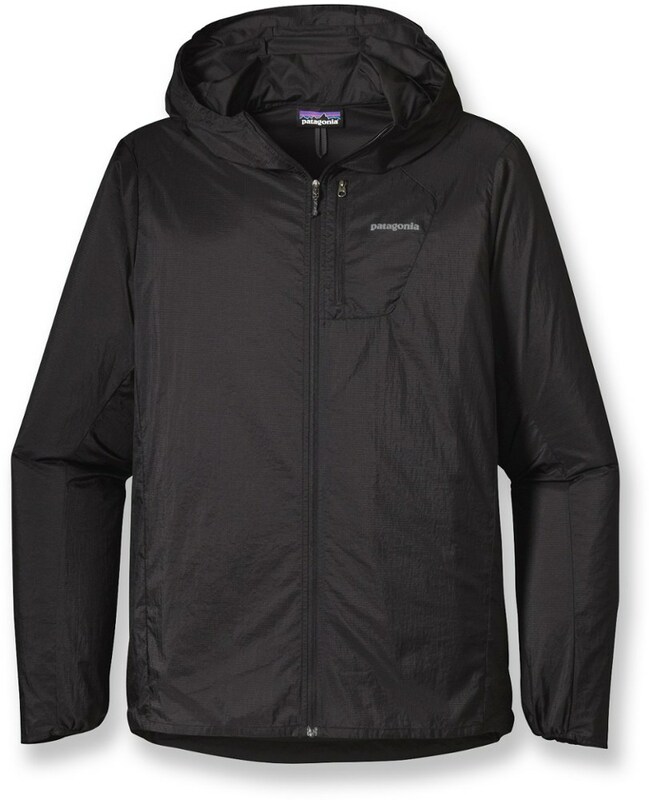 It's a good think the Outdoor Research Men's Tantrum II Hooded Jacket packs down small enough to fit in vests, packs, and even lumbar packs developed for running and trail athletics. 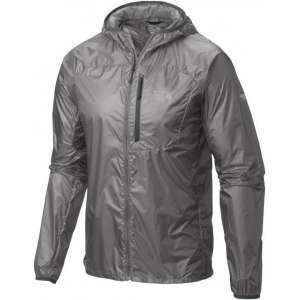 This ultralight, highly packable windbreaker cuts through breezes and sheds light moisture ranging from summer showers to spring sprinkles. 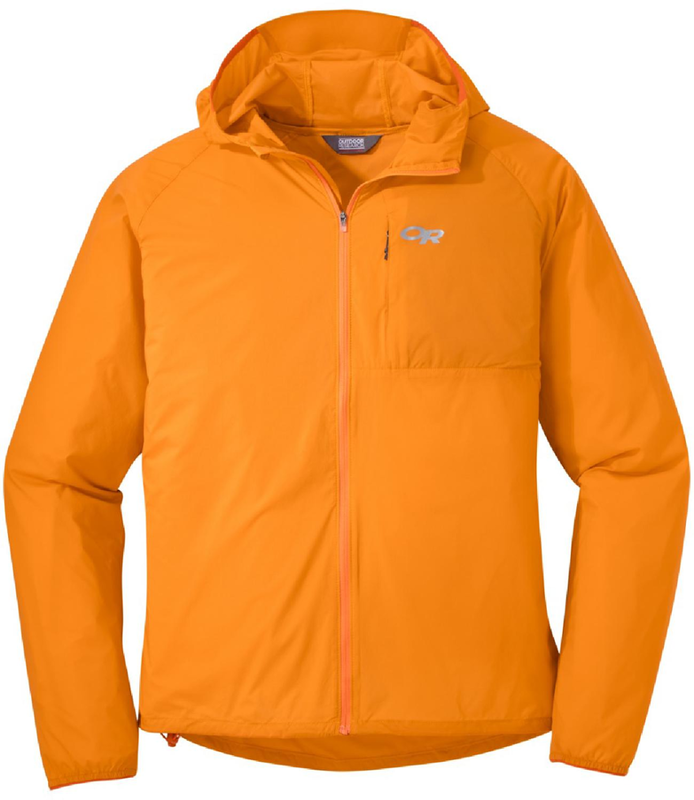 Outdoor Research mechanized the light, durable ripstop fabric with enough stretch to mirror your movements on the trail.